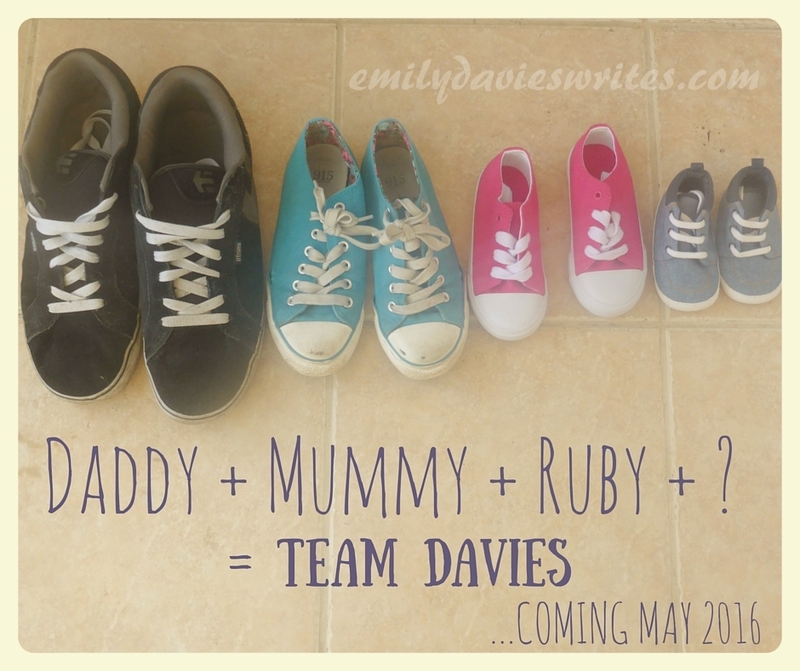 If you follow me on social media, you might have seen our announcement last week. That's right, we're adding to our little team! Right now, I am about mid way through my 24th week of pregnancy. 24?! I know, kept that one quiet, didn't I?! It wasn't my intention to be so secretive, but the weeks have flown by! Is that normal for a second child? For it to go so quickly? It's not like we haven't known about it - we actually realised that we were expecting around week 3 so no excuses there! After the 12 week mark we obviously then waited until we had told all of our relatives - though that did take an insane amount of time (not through want of trying - we love you all!). I did suffer for quite a while with sickness and tiredness (thankfully we've now seen the back of that!) which meant I wasn't really in the mood for telling people, then it was Christmas and all of a sudden we were over half way through, the countdown has begun and we only just got around to announcing it to the wider world (*waves* hello wider world!). But you know, apart from when I was heaving over the toilet whilst Ruby rubbed my back and told me that she would keep me safe, I haven't thought that much about this pregnancy. I keep having to remind myself that this is going to happen! I even contemplated applying for a job that I saw advertised! A quick reality check put paid to that idea! BUT despite all of that, we are absolutely ecstatic. We had our 20 week scan during Christmas week which is when we found out we were flying the flag for blue (sorry, no Pinterest-style gender reveal over here! ), Mr. D. is over the moon - he practically shouted at the sonographer when it was revealed. Our family feels complete (don't hold me to that!) and he hasn't even arrived yet. Ruby is so excited and keeps telling everyone that she's getting a brother, the bump has well and truly made an appearance and is getting lots of hugs from big sister and all the girlie hand-me-downs are finally making their way to younger friends and charity shops to make way for all the cute boy stuff that we're about to stock up on (who thinks boy stuff is so much cuter, anyway?!). I am so excited to experience parenting both a girl and a boy. Mr. D. is wonderful with his best girlie, but I have always wanted to see him father a son. I'm sure he will be raised a Spurs fan (Ruby is most definitely a Palace fan so we'll allow Mr. D. that pleasure), and that we will throw ourselves into football, mud and glorious boy things. It's going to be fricking awesome. So, that is our big 2016 news! I would like to say I've made lots of goals and resolutions for the new year, but really it's just to safely transition from three to four - however that might happen - and to survive the months that follow relatively unscathed. Wish me luck!